Having previously supplied Dunns with 2 large Turboroll model 08 doors, they came back to Eastern Doors once more when they had a further requirement to reduce heat loss in 2 more buildings and also to help them achieve their BRC status for supplying of food products. 5 doors were installed in what can only be described as a windy location even on a nice day. 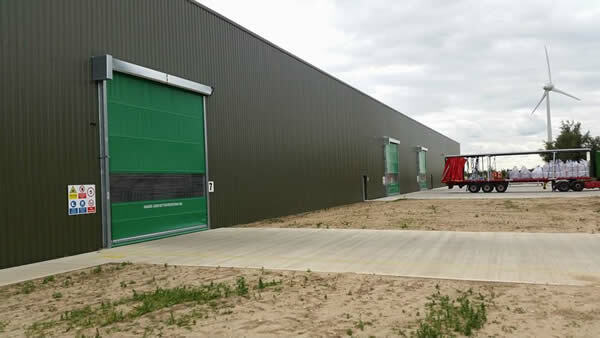 The 5.5m wide x 5m high doors were installed in 1 week meaning little disruption was caused to their production schedule. We were contacted by Askeys to quote for 2 doors on goods in and goods out, this eventually turned into a small project to supply and install 5 Turboroll 06 and 08 door including secondary steel work and cladding. During our site survey we were able to offer advice on which type of doors were best suited to each application and eventually when the proposal was submitted they were able to get 3 additional doors installed due to the correct doors being specified. The works took place during normal operating hours over the course of 10 days to try and reduce the amount of disruption to their work schedule. Having been a valued customer of ours for a few years now we were delighted when we were given the opportunity to supply Artex with 4 new Turboroll high speed doors. 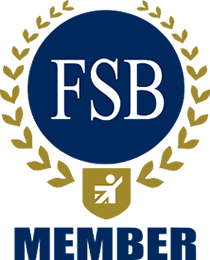 The scope of the project was to reduce heat loss in the main picking area which meant installing secondary steel work behind 2 existing doors to create airlocks and also installing steelwork to a tunnel area to create an airlock from the warehouse to the picking area. Usually this would be a straightforward project but the need to sync the doors to an existing traffic light system that we installed for Artex in the past made it a lot more complicated as there is integration with doors, pedestrians and forklifts. The final part of the jigsaw was to provide a door that would allow an escape route if someone was trapped in the tunnel, this was achieved by installing a Turboroll 25 with counterbalance and powered brake. This would allow anyone within the tunnel to get out in the event of a power failure. Working alongside Bakkavor for many years we were asked to quote to replace 4no existing loading bays which were beyond repair. This project required removal of 4 doors, frames, dock levellers and then installation of 4 new insulated sectional overhead doors including frames and 4no dock levellers. Usually this would be a straightforward project but we had to work with 2 bays at a time allowing full production to carry on as normal. This was achieved through creating a temporary wall at the back of the loading docks to maintain a clean area and retain the loading dock chilled temperature. 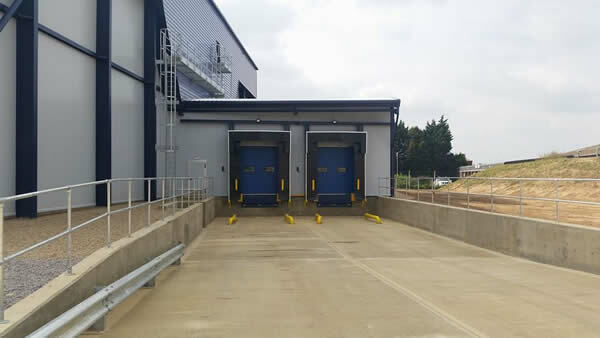 Recent installation of 2no new loading bays, including Combination inflatable dock seals, 6 ton dock levellers, Insulated loading doors, wheel guides, dock lights and LED traffic lights. Installation carried out in 1 week on site to meet project deadline for clients schedule.